A www.CareerChangers.TV blog about life and recovery. Although I haven’t been posting any updates about my screenwriting projects of late, it doesn’t mean I’ve given up hope or stopped putting my stuff out there. When you’ve been at it as long as I have, you build up a body of work. If the scripts you wrote were any good, they should stand the test of time. With experience and distance from the original inspiration or catalyst that motivated you to crank out the first drafts, revisiting old material can yield fresh insights that improve the story and writing itself. Since my last blog entry about renewed interest in my Menehune family feature script, I’ve signed a 90-day shopping agreement with a producer who is working with a Chinese multimedia company that is making low budget films in the USA. He found my Amish horror spec, SNALLYGASTER, on the Jason Scoggins Spec Scout site (free listings) and liked it because he grew up near Pennsylvania Dutch country, where my script is set. I used that producer’s interest to prod a small prodco to get back to me on my Muslim baby/doll murder mystery suspense script — and over the weekend, their director of development read it after he got back very good coverage from their readers. Now the doll script is also being shopped to distributors through the prodco. That lead came through the Inktip weekly e-newsletters (also free). And via another Inktip e-newsletter request for scripts, I got a producer request for a big budget sci-fi spec I cowrote. I also continue to enter screenwriting contests while I’m still eligible — that is, I haven’t made enough from options or an outright sale to disqualify me. I’m in that lull stage where you have to wait… then wait some more for news. I don’t want to jinx anything by pestering the prodcos for updates, and cling to the hope that no news is a good sign that those projects are still in play. The benefit of being a more “experienced” writer (old guy) is I don’t lose sleep over it anymore. I get on with my life. Instead of thinking about my prospects of selling, I’m more reflective of my solitary place in the universe and how small we all are in the grand scheme of things. The other day while jogging to the beach, I counted my blessings and my mind drifted to dirty water hotdogs in New York City, where I misspent a good portion of my 20s before escaping to my present home in Hawaii. In spite of the jokes about the dangers of scarfing down those boiled frankfurters plucked out of the battered, weathered street carts, there was something I liked about the consistency and taste of those onions simmered in a red sauce that to this day, I cannot identify. It was the ideal hangover food after a night of partying and heavy drinking would leave me with less than three bucks in my wallet. No matter where the hot dog cart was — Downtown, Upper West Side/East Side, the Village or Soho — they always tasted the same. Back then though, I never stopped to think about it much: how immigrants brought these sausages to the New Land, and renamed them for Americans; or the newer immigrants who took over the hot dog carts and introduced other foods from their respective countries; what it took for them to get that beat-up cart; where they got the red sauce recipe from — or was it sold by the originator? So, after my jog, I showered and Googled hot dogs and the red onion sauce recipe. Found some interesting tidbits too! 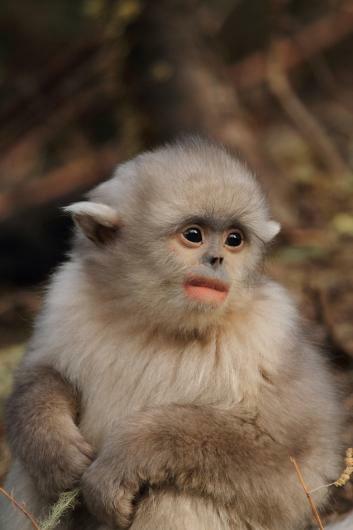 The dirty water dog memory stirred up a more recent image I recalled from watching a PBS Nature show about an orphaned snub-nosed monkey I identified with. I wasn’t abandoned and left to fend for myself like that poor little monkey, yet my days as a young bachelor in NYC, longing for connection and love, often left me feeling painfully alone. Drinking and partying was part of my survival mode. I convinced myself I didn’t need anyone, or their approval. In some ways, you could say it toughened me up for the inevitable rejections I would later have to endure as a writer. But damn, at the end of that nature show, I was really pulling for that cute little snub-nosed creature to find a friend and reconnect with his missing mother. And I think about that young lonely man, dressed in his business suit with day old razor stubble, savoring a warm hot dog with red onions, with no clue as to what the future might hold for him. Selling a screenplay was the farthest thing from his mind. This entry was posted on May 15, 2015 at 10:12 am and is filed under depression, failure, motivation, screenwriting, screenwriting contests, Uncategorized. You can subscribe via RSS 2.0 feed to this post's comments.